I had been quilting a year before I saw in person what other quilters were making. 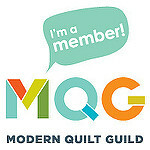 I didn’t grow up around quilters. I didn’t belong to a guild. I hadn’t had any in-person classes. I cobbled together some funds and got myself out to Austin, Texas. It was February 2015. I kept to myself mostly and studied the quilts in the show. I walked around as if in a dream. I attended a few lectures. 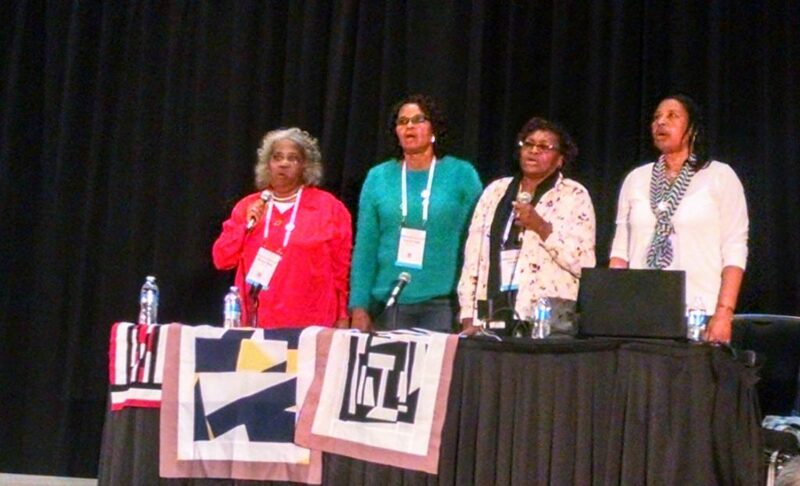 The quilters of Gee’s Bend delivered the keynote. I had read about them and knew. I knew this was big. They sang gospel. I grew up with gospel. It felt like home to me. 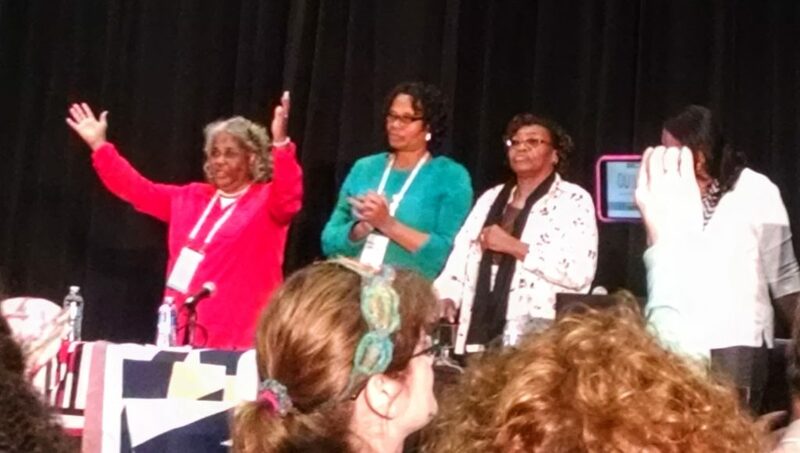 So a few days ago when I heard Mary Ann Pettway and China Pettway of the Gee’s Bend Quilting Collective were soon teaching a workshop only a few hours’ drive away from my home, I sent my registration request off in a flash. In fewer than three weeks, I’ll get to spend a few hours with Mary Ann and China. I’ll get to learn from them. Hear their stories. Let their histories inform me. I feel remarkably blessed to have that opportunity. I hope they’ll hug me if I cry a little. Enjoy! I got to spend a day with Mary Lee Bendolph a couple of years ago at a workshop at the International Quilt Study Center and Museum when they hosted a Gee’s Bend exhibit. It was such a fabulous day! Oh, that does sound fabulous! The IQSCM (is that their acronym?) has many great programs. One day I’ll get out there! Ooh this will be a great opportunity. Please soak up some of their wisdom and inspiration for me and Casper like blow it my way. Enjoy. I’ll do my best! ?